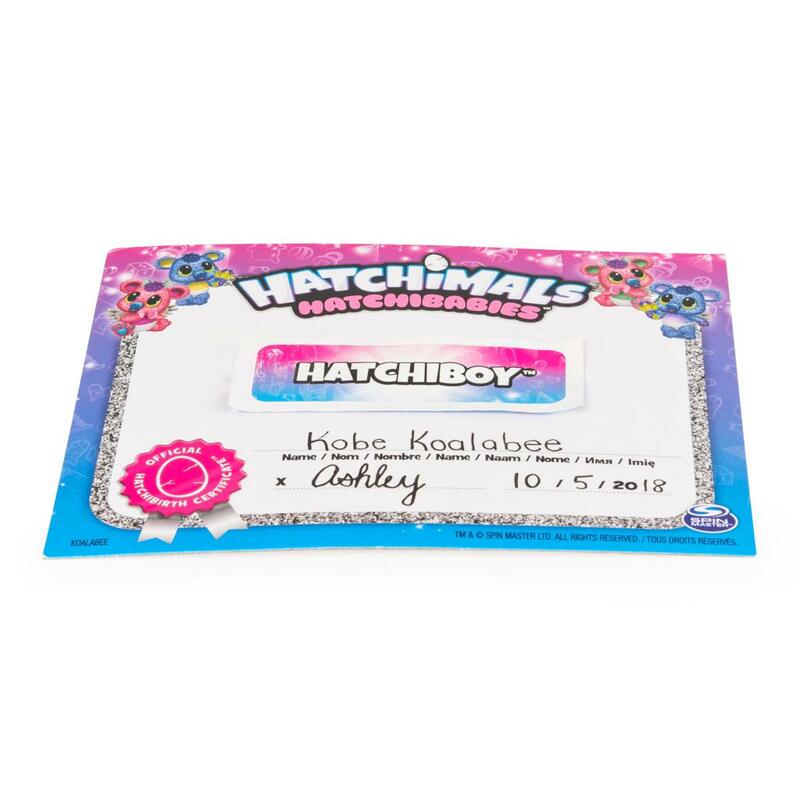 HatchiBabies have arrived – and they have so many surprises for you! For the first time ever, you could hatch a boy or a girl! To find out who’s inside your HatchiBaby’s egg, hug, tap and pat it. When they hear you, they’ll respond with cute sounds! The more you play with these forever babies, the more EGGcited they get! 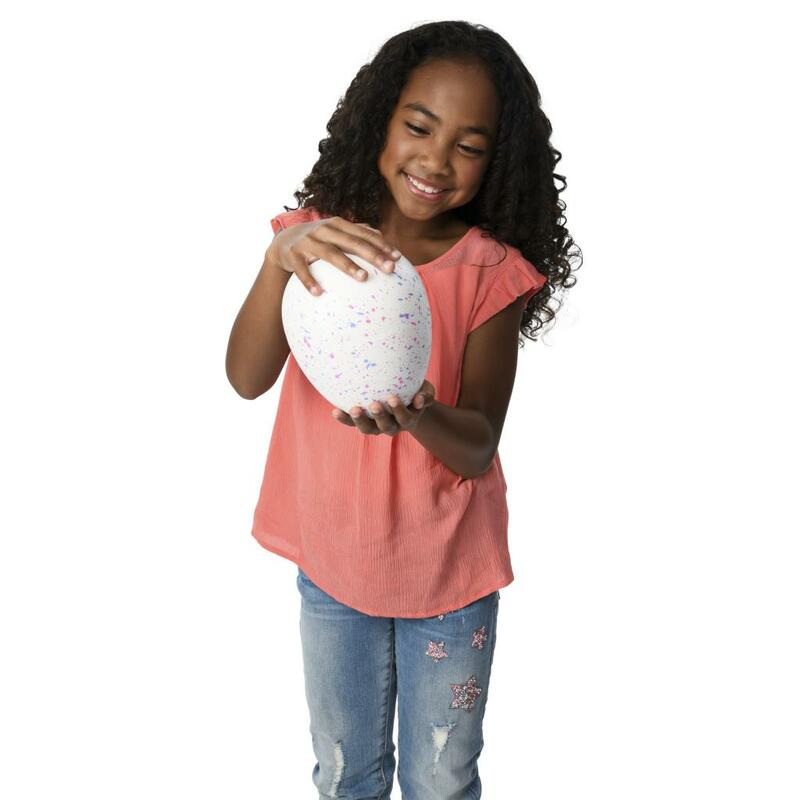 Place the egg on a table and it will really rock back and forth! 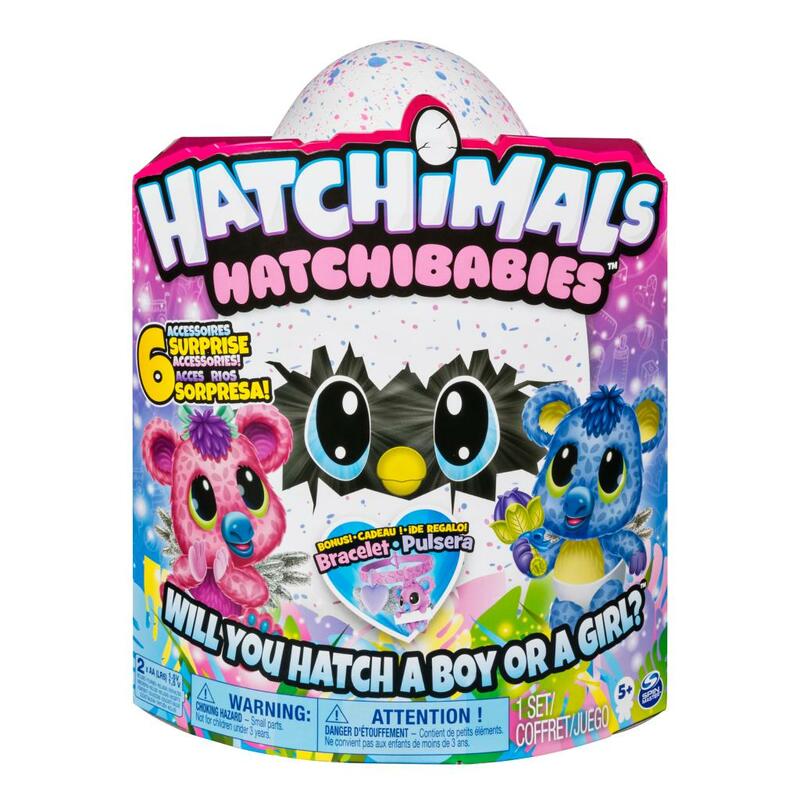 When you see rainbow eyes shine through the shell, you’ll know your HatchiBaby is ready to hatch – but they can’t do it without you! Rub the egg to encourage them, and peel back the shell – the secret message inside will reveal if you’ve hatched a hatchiboy or hatchigirl! (Don’t forget to fill out the birth certificate!) 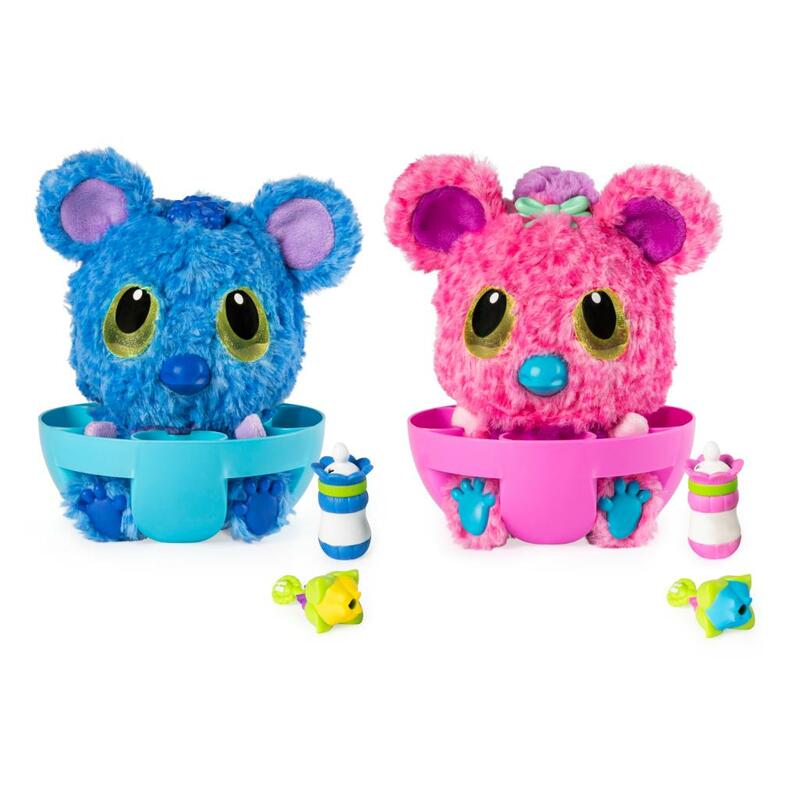 As you pull out your HatchiBaby, their big color-changing eyes will tell you how they’re feeling, their beaks will move and they’ll rock back and forth – they really come to life! ! Now you can reach into the shell, lift out the highchair, and peel-to-reveal a rattle, bottle, hairbrush and cuddle buddy! Use them to feed, burp, tickle and snuggle your baby! The more you play, the more responses you’ll unlock! You’ll also find an exclusive Hatch Friends Forever baby bracelet for you! Your bracelet comes with a super cute Koalabee charm and nameplate, where you can write your HatchiBaby’s name! 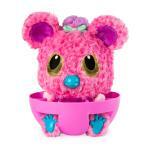 With big, round ears and colorful tufts of hair, Koalabee HatchiBabies are full of surprises for you to discover! Bring home your very own HatchiBaby! 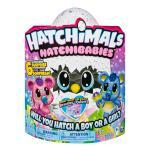 HATCH A BOY OR A GIRL: Will you hatch a HatchiBaby boy or girl? It’s a surprise! Use your love and care to help your baby Koalabees hatch and they’ll come to life! 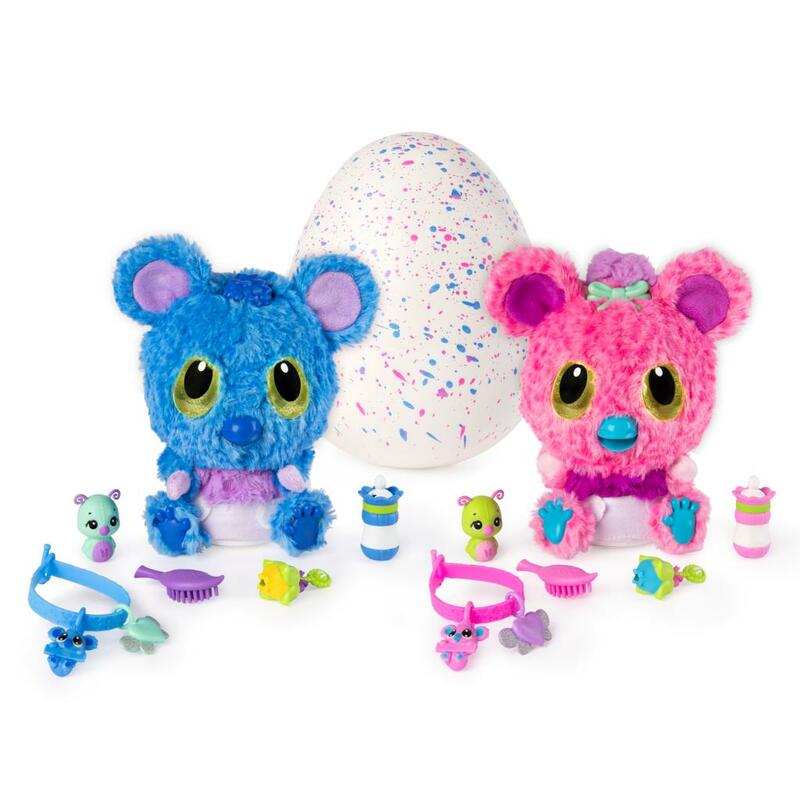 Feed, burp, tickle and snuggle your Hatchimal and they’ll respond – just like a real baby! HIDDEN INTERACTIVE ACCESSORIES: There are even more surprises to discover! 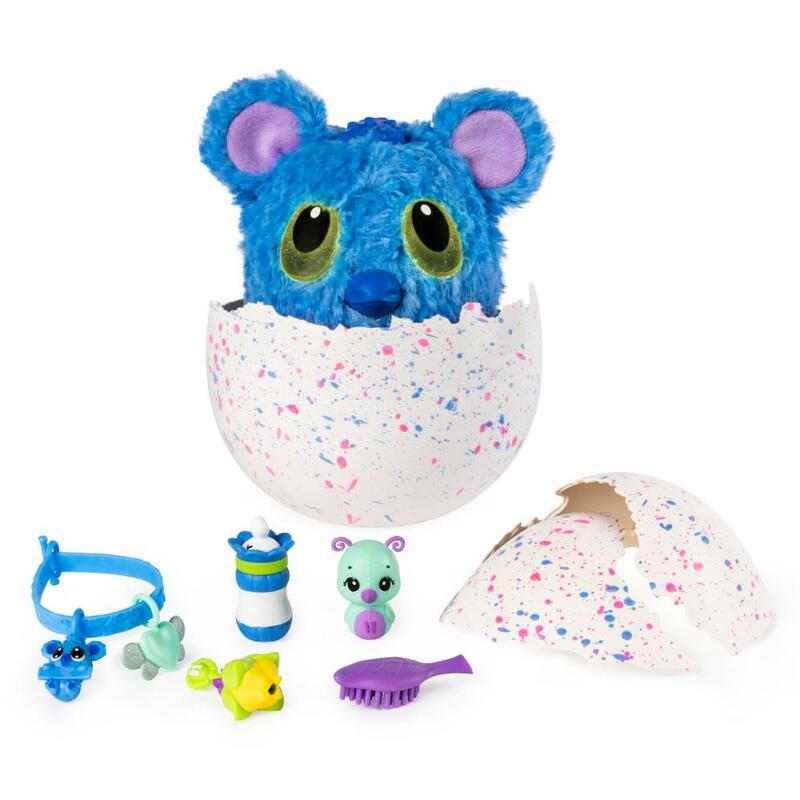 Reach into the egg and find four hidden accessories and a bonus exclusive accessory: a rattle, hair brush, bottle, cuddle buddy and #HFF baby bracelet! Care for your HatchiBaby using these fun accessories, and customize your cute bracelet! 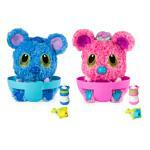 SUPER-CUTE BABY PLAY: Feed, burp, tickle and snuggle your HatchiBaby and they’ll respond – just like a real baby! Teach your baby to talk and play EGGciting games like “peek-a-boo” and an exclusive game called “find my toes!” The more you play, the more response you’ll unlock! Will you learn your baby’s secret trick? 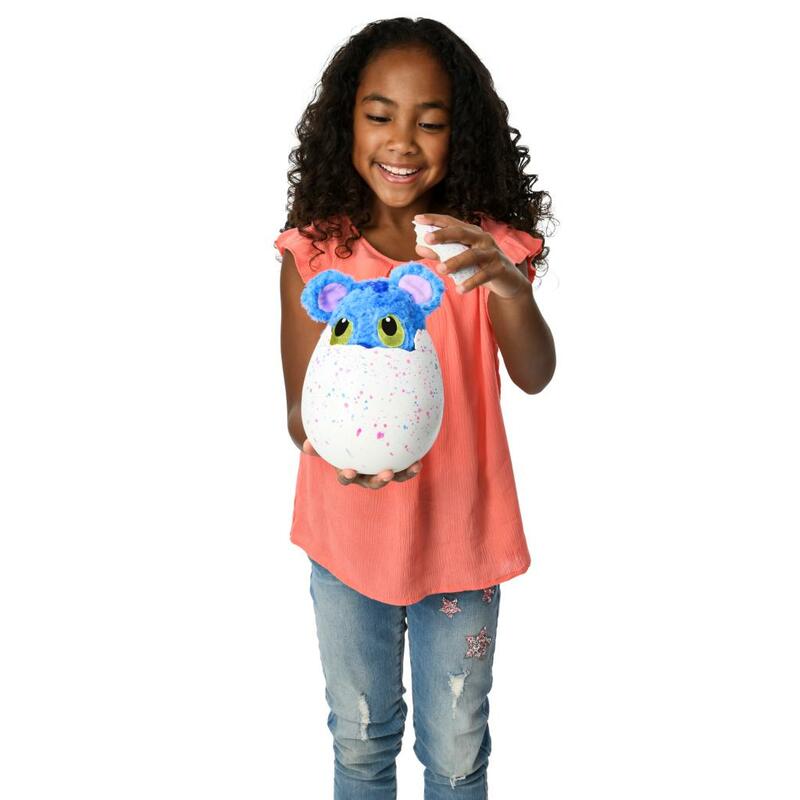 Hatchimals Koalabees HatchiBabies are a great gift for kids aged 5+. With big, light-up eyes and fluffy tail, Koalabees need your love and care! 2 x AA batteries included.